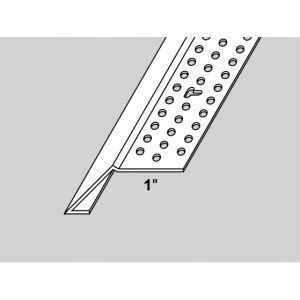 Chamfer Stop - Chamfer Beads is designed to be installed after the drywall. There is no need to wrap the bead behind the drywall. Use Chamfer Stop - Chamfer Beads for creating beautiful multi-layer drywall effects. Instead of wood moldings, Chamfer Stop - Chamfer Beads is perfect for finishing windows and doors.